The soybean aphid has become the most important insect pest of soybeans in the Northeast and Midwest regions of North America. 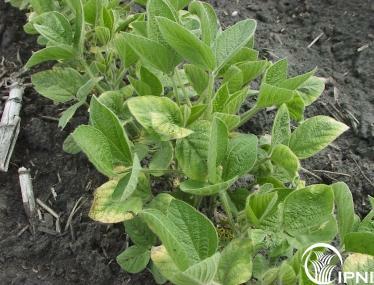 It often damages soybean plants that are K-deficient more than those that are not. Recent research in Wisconsin and Michigan has found that K-deficient soybeans can in some, but not all, instances suffer more from aphids than soybeans without K limitation, and that the causes may be related to amino acid composition of the phloem sap.